The annual Romantic Novelists' Conference is one of the highlights of my calendar, and this year was no exception. Held at Lancaster University, the venue was lovely even if the weather wasn't exactly sultry and summer-like. Getting together with good friends over a bottle or three of Prosecco was the absolute high spot of a wonderful couple of days. 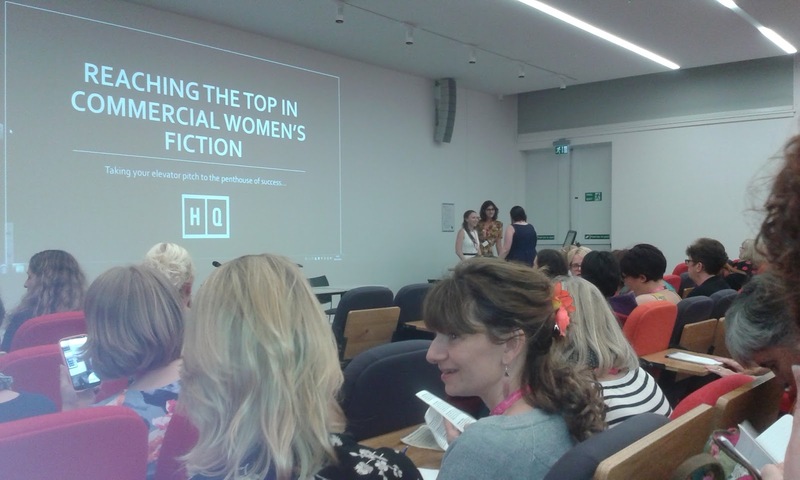 The sessions were interesting and inspiring, among them HQ Harper Collins 'Reaching the Top in Commercial Fiction,' Vasiliki Scurfield on 'Writing the Foreign Hero' and Kate Walker on 'Emotional Punch.' One of the most illuminating sessions, from my point of view at least, was Sonia Duggan's workshop on 'Rekindling your Romance with Writing.' Having been writing for almost ten years and as yet unpublished, this one really struck a chord with me. Sonia gave us an exercise on composing a Dear John letter to our writing and what I wrote both surprised and shocked me and, for the first time, I was able to view my relationship with my work as just that - a relationship. And, like any long term love affair, keeping positive during the low points, going on believing and investing in it, can be hard for published and unpublished authors alike. So I came away from this eye-opener with the realization that my attitude and commitment towards my own writing could do with some serious TLC. A wake up call is never a bad thing for a writer! It was wonderful to see you both - and share a little prosecco! I think we can all learn to give our writing career a little TLC - but we also need to give ourselves that TLC through the ups and downs. Those are still there even when you're published! Writers are so easily knocked because we put so much of ourselves into what we do. Hope to see you (and Sarah) again soon.